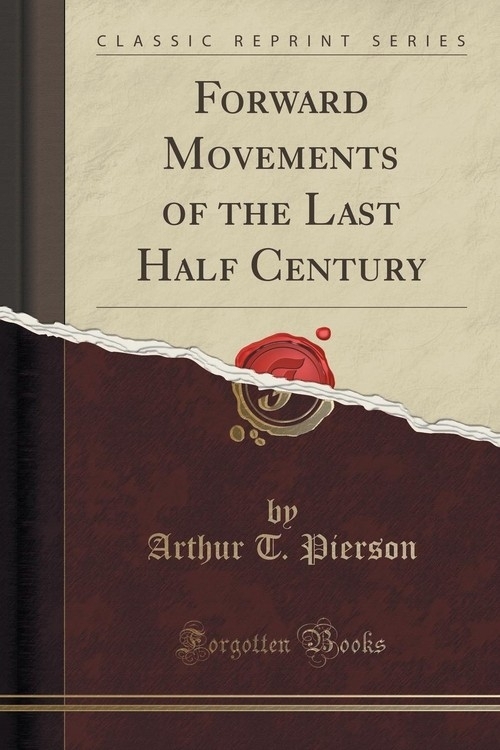 Opis: Forward Movements of the Last Half Century (Classic Reprint) - Pierson Arthur T.
It is always important to begin at the beginning. History is not only philosophy teaching by examples, but it is a constant ethical lesson to the studious and candid observer, revealing the secrets of success oftentimes through the record of failure, and constantly challenging a fresh attention to the laws which underlie the truest and largest and most enduring success. In attempting to trace a few of the more conspicuous spiritual movements of the half century just closing, the main purpose is not so much a historical review, as a practical and spiritual result - a new incitement and inspiration in the direction of further effort, and more aggressive and progressive forms of service to God and man. This half century has been lustrous and illustrious for the multiplied philanthropic Christian and missionary activities which have sprung up on every side, as growths of God's own planting. But, whatever has been thus far accomplished, we can only think of Coleridge's words about "the petty done" and "the vast undone." Modern methods, hundred handed as they are, have not yet begun to overtake the misery and poverty, want and woe of humanity. Beginnings are at best but starting points, not goals; revelations of possibilities rather than records of achievements. Szczegóły: Forward Movements of the Last Half Century (Classic Reprint) - Pierson Arthur T.
Recenzje: Forward Movements of the Last Half Century (Classic Reprint) - Pierson Arthur T.